BABY DEALS!! 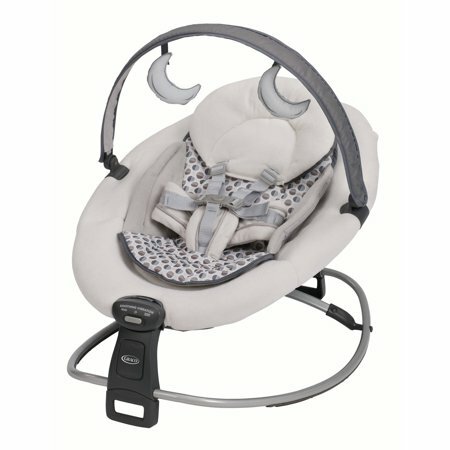 This adorable Graco Duet Rocker and Baby Seat perfect for your little one is on Walmart.com Only $49.00, regularly priced $80.45 + Free 2-Day AND Free Store Pickup. The Duet Rocker is two terrific seats in one: the calming rocker transforms into a stationary vibrating seat for two ways to soothe your little one. To make the switch, just flip down the Rock Locks. This portable soother offers a compact, flat fold and lightweight design, which are perfect for on-the-go soothing. Baby will love the relaxing two-speed vibration, multi-position recline, plush fabrics and mobile with two soft toys. Plus, the convenient bonus travel tote makes it easy to take with you anywhere. It’s two terrific products in one, to soothe and comfort your precious infant.